When hiking with kids, finding a trail easy enough for all involved and fun can be tricky. 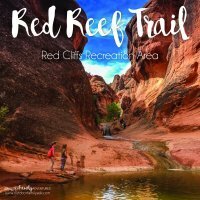 Butterfly Trail in Snow Canyon State Park has everything you need to make hiking with kids fun! The Butterfly Trail begins at the same trailhead as the Petrified Dunes. You can also get to the Lava Flow Trail from here. Make this a quick trip, or spend extra time exploring. Visit all three trails to make a day of your family adventure! However, the Butterfly Trail alone is not very long; a little under 2 miles. Our family spends about one hour on this hike exploring partially on the Laval Flow Trail. The trail is well marked which makes it easy for the kids to blaze ahead. Walking down the petrified sand dunes was lots of fun for my little one. There are rocks used to outline the trail’s path. One of the many reasons I love the Butterfly Trail is because of the different landscapes. You start in some sand, walk over petrified (basically stone) sand dunes and travel down into the large brush and trees. Once you have cleared what we call “the valley”, you will start heading towards the Lava Flow Trail. You’ll start to see lava rocks all through the wilderness. Keep you eyes out for wildlife! We saw plenty of bunnies and lizards. 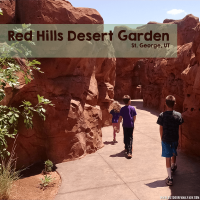 If you are here after a rainstorm, you may see a desert tortoise! This trail does provide access to the lava caves (or lava tubes). The first one you approach will be the easiest for children to enter. My six year old made it down with some assistance. 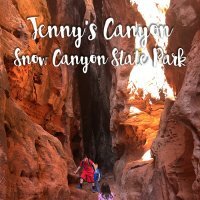 Don’t forget to look around when hiking with kids in Snow Canyon State Park. The views are everywhere and gorgeous! Head home by simply turning around to go the same way you came. Or you could continue up Lava Flow Trail and then walk back to your car along the main road. It isn’t too far of a walk and either direction will work. I love the landscape of the Butterfly Trail so we chose to head back the same way we came. 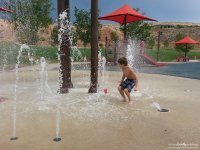 The kids will love the climbing and movement of this trail. It isn’t straight and there is much to see. The Butterfly Trail will hold their interest and make them feel like they are on an adventure! And the promise of a lava cave at the end?! I mean, come on! You can’t beat a hike with caves! 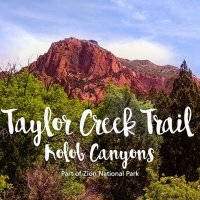 Snow Canyon State Park is becoming one of our favorite places to hike with kids. The trails are never too long and there is always something beautiful to see–rain or shine! Spend an hour hiking with the kids and then stop for some down time playing in the sand dunes (the actual sand dunes — theses ones aren’t petrified! ).